This article introduces high quality digitally controlled 2.1 channel analog audio power amplifier system. 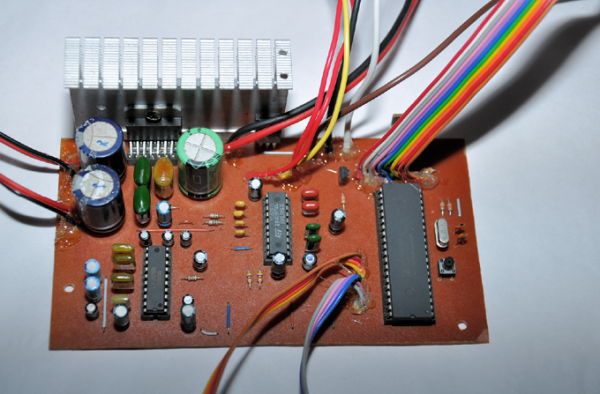 This project is mainly based on TDA7377 AF power amplifier and PIC18F452 8bit microcontroller. Basic technical features of this receiver are covered in table1. This unit is specifically design to work with PC sound cards, radio receivers and CD/DVD/Blue-Ray players. This system use commonly available electronic components and substitute components can also use. For maximum quality we recommended to use components from same manufacturer. For example some actual capacitor values and resistor values are slightly varied from manufacture to manufacturer, and this cause some minor unbalances in output of amplifiers. When soldering the PCB we suggested to soldering small components such as jumper wires, resistors first and moving to larger components at last. Also try to use IC sockets for all the DIP and TDA7377 ICs. In our prototype all the integrated circuits except 2 voltage regulators (IC5 – 7805 and IC6 – 7808) are connected to mainboard via IC sockets. All the controls, I/O and power terminals and display modules are connected to mainboard through wires, and for control and display lines we recommended to use suitable ribbon cables. For power and output wires 18-20 gauge multi-strand cables are recommended (these wires are commonly used for automotive wirings). 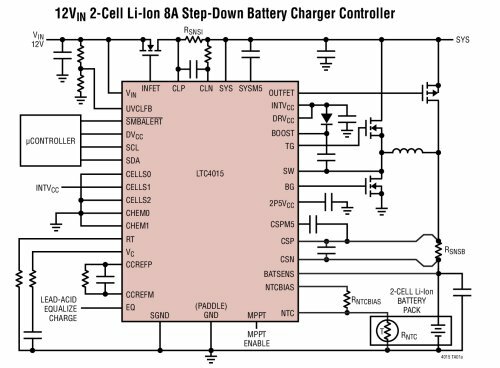 In given PCB design 4 wires need to be installed for I2C bus and MCU STAND-BY lines. For this, standard Teflon coated 32-30 gauge wires are sufficient. This project is an open hardware project and all the source codes of PIC18F452 MCU are available to download at project website. The source code of PIC18F452 is written using MikroC for PIC compiler and free version of this compiler is available to download at Mikroelektronika home page. Currently available firmware is design for 8MHz clock and other required MCU related settings are listed in table 2. Compiled HEX file for PIC18F452 is also available to download at project website.